A pavilion that aims to llustrate, question, and challenge 'free-space' within the South African context. Freespace exists at the threshold between public and private: it says that its physicality belongs to its building but it generously offers its space to the world to share in and experience. 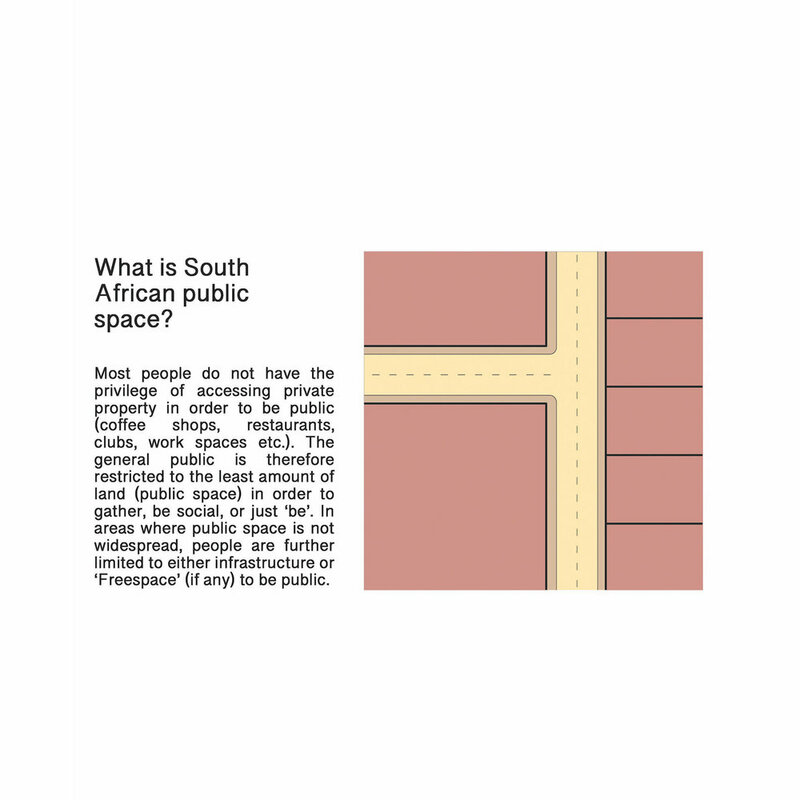 Freespace (which is different to public space) is a necessity in our urban environments. Without it our cities are less welcoming, our streets less public, and our spaces less democratic. 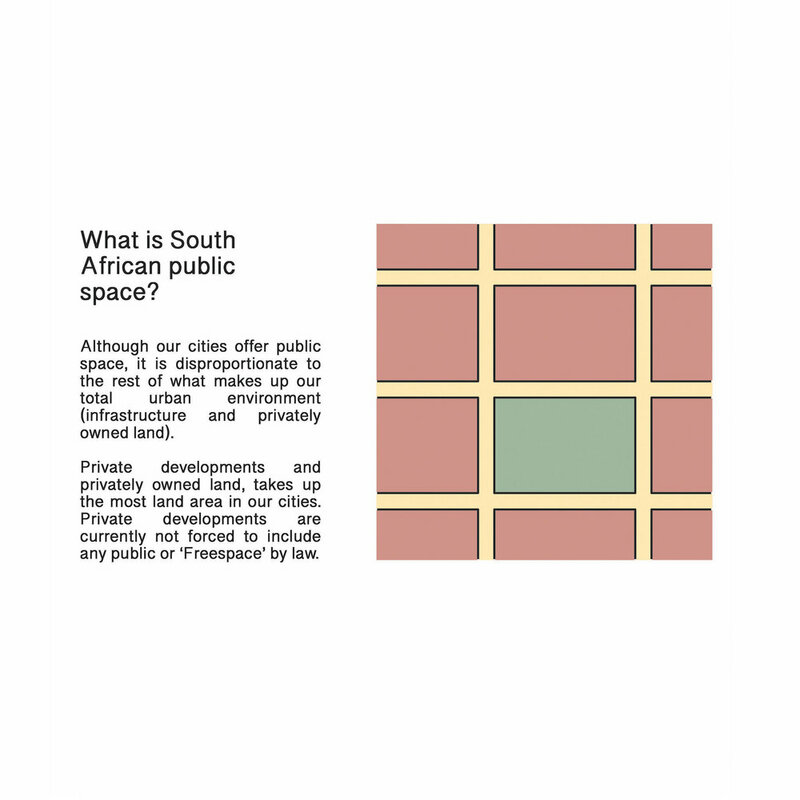 In South Africa there is a disproportion between the amount of Freespace available and the number of people who access the city. This manifests as inequality, inaccessibility and lack of opportunity, especially to the poor who do not benefit from any privilege related opportunities. If this changed, and people started to address not only the importance of Freespace, but so to the quality thereof, what could our cities look like and how much better would they be for their people?